It’s hard to say if it’s a phone or a tablet, as you can basically use it as a phone and a small tablet. 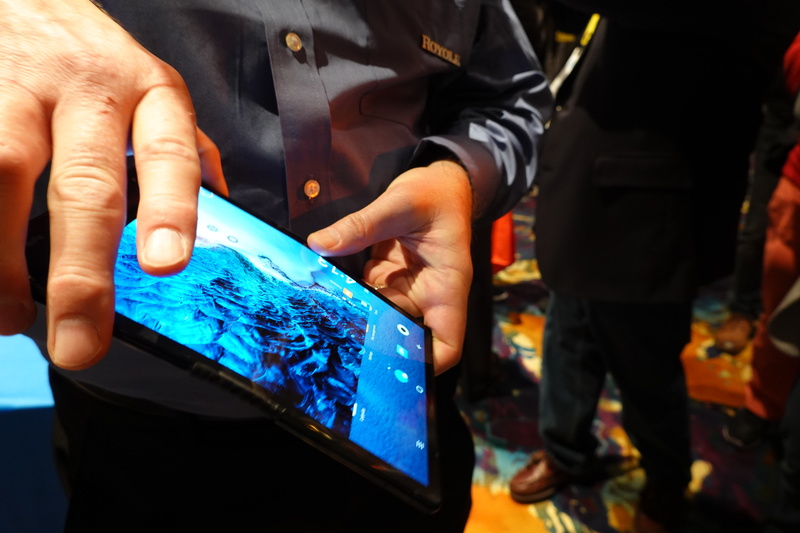 Arguably, the tablet form factor is the most usable one. It’s a 7.8-inch device that runs Android. When you fold the AMOLED display, there’s still a small gap between the two halves of the screen. But it’s also much smaller than the unfolded version. It’s a bulky phone, but it’s still much easier to store in a purse compared to a tablet. You can already buy a developer version of the device for around $1,300 if you live in the U.S. It runs Android with a bunch of custom software features. If you fold the device, all your content moves to one part of the screen. It’s not a fluid experience, but it works. It’s impressive to see that Royole managed to beat Samsung and other manufacturers to the market with this technology. 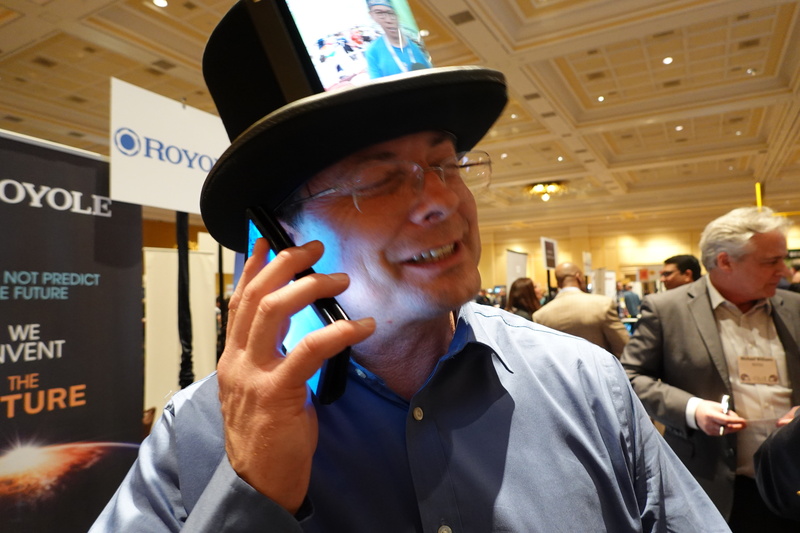 Now, let’s see if Royole will sell its own devices, partner with other manufacturers or both. We have a video of the device coming up later this week.